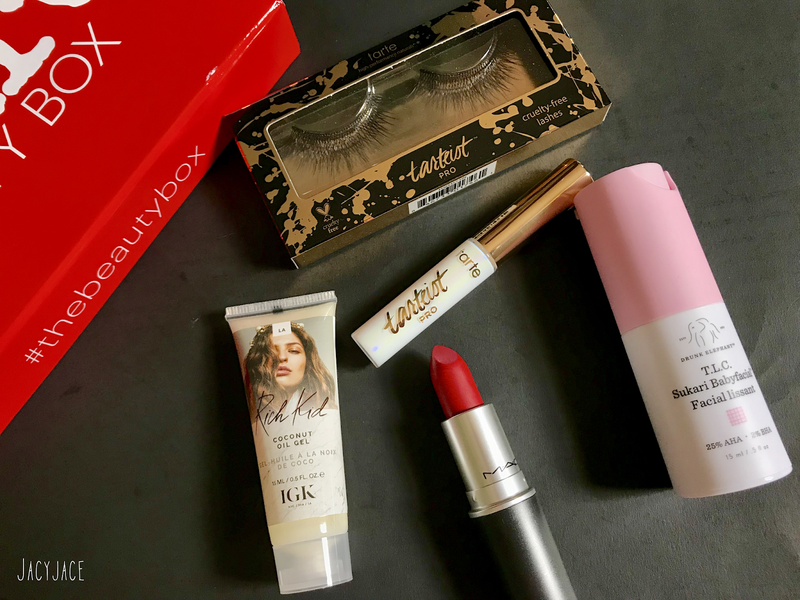 Allure Beauty Box for September, I received these products and I'm very satisfied with this month box. MAC lipstick - Ruby Woo is matte blue-red lipstick that looks great on everyone. I already own it so I know it good! IGK Rich Kid Coconut Oil Gel - Suppose to be lightweight, frizz-free, and give your hair texture. I'm excited to see how this works and if I would like it. Tarte Tarteist Pro Lashes & Tarte Lash Adhesive - I'm not a big fan of fake lashes but I can appreciate them putting in the adhesive, because what if I didn't have any? So I'll pass it on to a family member or friend. Drunk Elephant T.L.C. Sukari Babyfacial - This product is used to exfoliate your skin improving the skin texture and tone for a youthful radiance. I'm definitely going to enjoy this because Drunk Elephant has great reviews on their skincare products.